Simon Payne was appointed Head Professional at Cowglen on the 1st May 2000 having served as an assistant at the club since 1989. As an assistant Simon received one of the coveted PGA trainees of the Year awards on his qualification to full PGA membership. He was appointed as the Glasgow Golf Union Junior County Coach in 1999 – Jan 2016. In 2009-2011 he was selected as one of only 4 Scottish Golf Union “Performance Club” coaches and in 2013 as a Scottish Golf Development Center Coach. In 2010 Simon’s status as a PGA member was elevated to Advanced PGA Professional in recognition of his experience and continued Professional development. This status was increased again to Fellow in May 2017. This is based on a strong desire to improve own understanding and knowledge, through attendance at courses, seminars, and by taking qualifications related to golf, as well as having shown commitment and a willingness to develop self. Writing articles and/or delivered seminars and being recognised by his peers as having a high level of skill and knowledge. 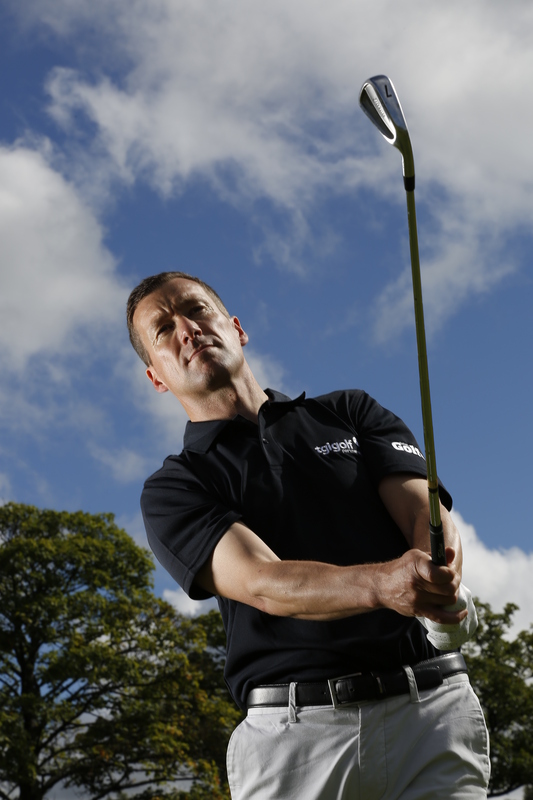 Simon has built a strong reputation as a teacher and golf equipment specialist; he is highly regarded for his detailed knowledge of the golf swing and ability to clearly communicate good technique to all golfers, whether they be low handicappers or beginners. 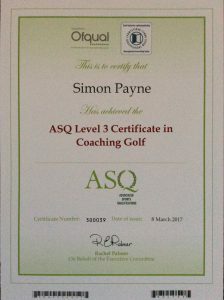 In 2017 he achieved ASQ ( Associated Sports Qualification) Level 3 Certificate in Coaching Golf. 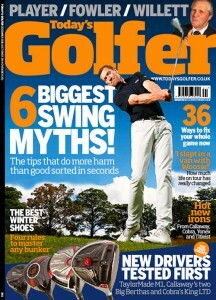 He features regularly in Today’s Golfer the UK’s #1 Magazine as one of its Top 50 Coaches.